Welcome to the Eight Annual BMPS “Best Of” highlight video! This is a retrospective on the year that was 2015, as seen through the lens of BMPS Video Productions. 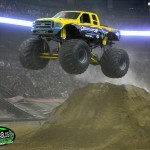 Monster Trucks, Freestyle Motocross, tough trucks, jet cars and even robotic dinosaurs make appearances in this piece. 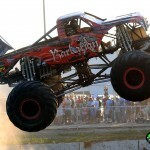 Events from many different promoters and from all across the united States are featured. As has become tradition here at BMPS, I have entirely too many people to thank in a video description. Therefore, all the folks who helped me in my cross-country journey are listed in the credits at the end of this video. All footage Copyright is owned by BMPS Video Productions. All music copyright is owned by its respective copyright holders. Enjoy and have a Merry Christmas! 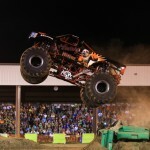 TheMonsterBlog.com crew made the annual trip to Southaven, Mississippi this past weekend to film the season opener of the Toughest Monster Truck Tour for TMB TV’s Original Series. 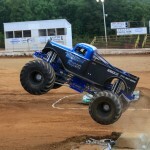 The event featured the kickoff of the BIGFOOT 4×4 40th Anniversary Tour as the team debuted their brand new Summit Bigfoot #21. Defending champion Dan Runte started his title defense against Walking Tall, Over Bored, Snake Bite, Wild Thang and Quad Chaos. While the full episode is still a little ways away as we finish up the 2014 season of TMB TV, check out some highlights, as well as Dan Runte’s winning freestyle from the Saturday night show. Enjoy! Welcome to the Seventh Annual BMPS “Best Of” highlight video! This is a retrospective on the year that was 2014, as seen through the lens of BMPS Video Productions. 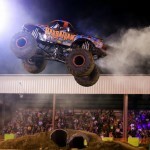 Monster Trucks, Freestyle Motocross, tough trucks, jet cars and even robotic dinosaurs make appearances in this piece. Events from many different promoters and from all across the united States are featured, literally from Maine to California. As has become tradition here at BMPS, I have entirely too many people to thank in a video description. Therefore, all the folks who helped me in my cross-country journey are listed in the credits at the end of this video. All footage Copyright is owned by BMPS Video Productions. All music copyright is owned by its respective copyright holders. The 2014 BMPS Year End highlight is dedicated to the memory of Nugget. Daddy loves you! 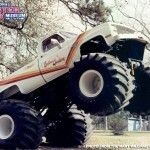 Be sure to check out all of my other videos here, as well as my work with TheMonsterBlog.com. Thank you! 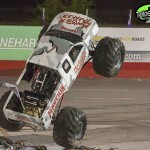 Ross Z. Bonar from the TheMonsterBlog.com was on hand announcing for the 2014 All Star Monster Truck Tour event at the Maverik Center this past weekend in West Valley City, Utah. There Toxic, Obsession, Airborne Ranger, Obsessed, Over Bored and Maverik Monster Trakker battled it out in three big shows. While we did not have our own video crew on hand, Desi and the amazing Maverik Center media staff was gracious enough to allow us to share some highlights they captured with you here on TMB. Enjoy! In this TMB TV Feature, we take you behind the scenes of the 2013 Performance Racing Industry Trade Show at the Indiana Convention Center in Indianapolis, Indiana. 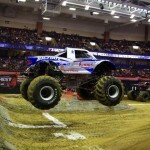 The PRI Trade Show is the largest annual gathering of racers and manufacturers from all forms of motorsports. 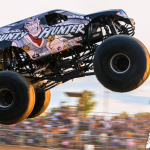 Hosts Ross Z. Bonar and Chris Parrish highlight some of the monster truck related activities that took place at this year’s event. This is an interview with Glenn Williams, brother of Southern Sunshine and Cajun King’s creator Mart Williams. Glenn tells us the story of the trucks, their creation back in the early and mid-1980’s, as well as their rebirth in 2010. We take you inside both trucks, for a rare look at a pristine set of old school trucks, as they existed way back when. This interview is dedicated to the memory of both Mart and his father, Frank. It was an absolute honor to meet Frank, who passed away not long after this interview was shot. Special thanks to everyone involved with Southern Sunshine Racing. The Best of 2013, as seen by the cameras of BMPS Video. 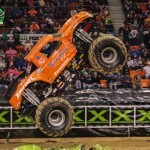 This video brings you the amazing air, crazy crashes and all the insanity that makes Monster Trucks the most exciting motorsport on the planet. This year’s highlight features a more cinematic feel than years past, taking a different direction that made for a fun and challenging edit. 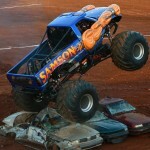 In addition to Monster Trucks, it features Freestyle Motocross, Tuff Trucks and Demolition Derby. As has become something of a tradition, the list of those featured, as well as those who helped me along throughout the year, is featured in the end credits. These also feature some of the lighter moments of the year. Be sure to check out all of my other videos here, as well as my work with TheMonsterBlog.com. Thank you!